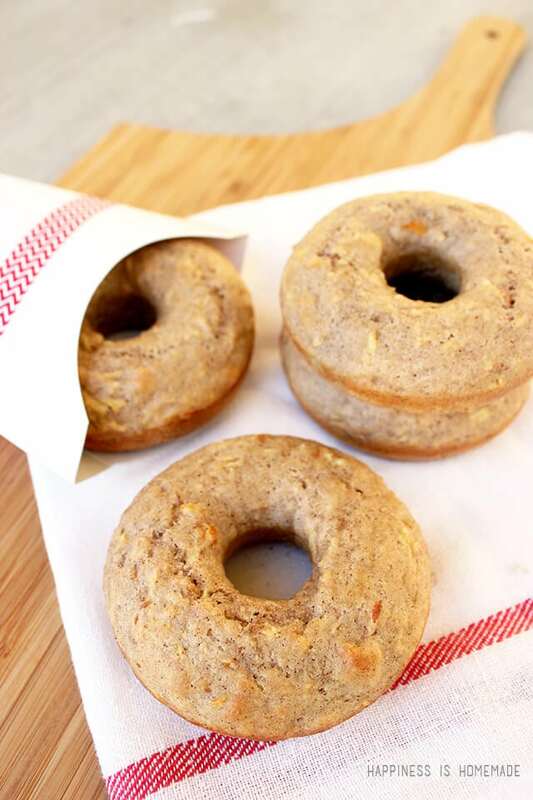 Homemade apple donuts are always a staple on our fall bucket list, and this year’s recipe might just be the best one we’ve tried yet! Packed full of fresh apples and our homemade applesauce, these babies have just the right amount of sweetness, and they’re to-die-for with a morning cup of tea or coffee. 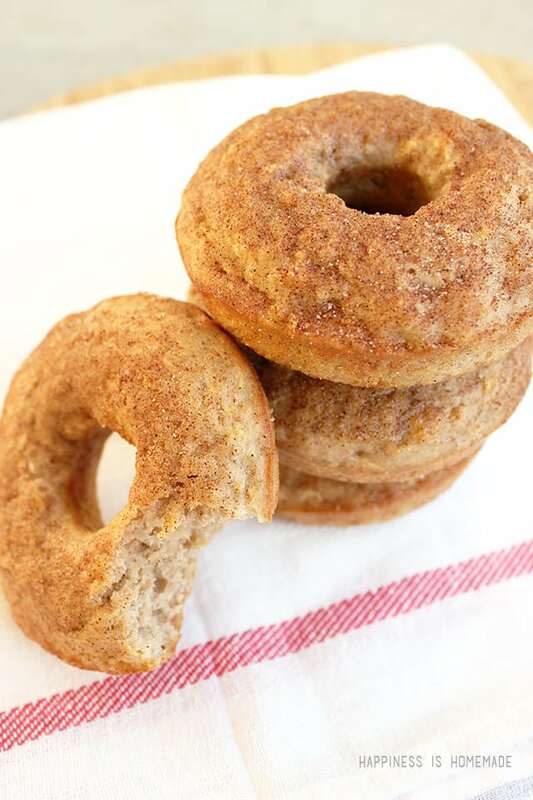 We fell in love with these donuts plain, but the addition of a light topping of cinnamon sugar makes them even better! You could get even crazier and add a second coating of the topping to make it thicker and crumblier, but since I was serving these to the kiddos, I was trying to limit the amount of sugar. 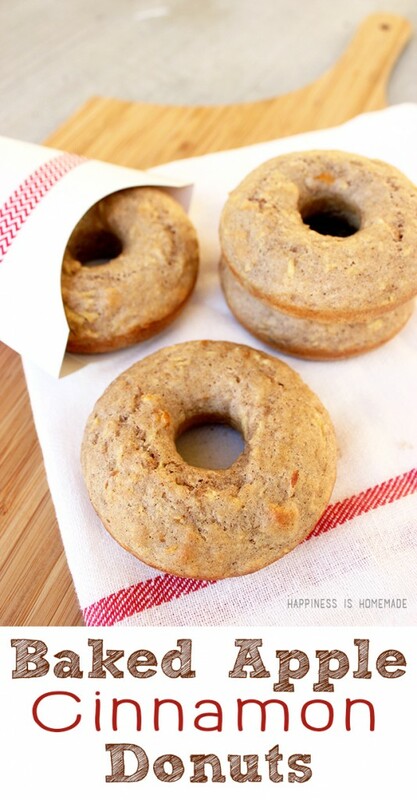 I totally wish that I could take credit for this amazing apple donut recipe, but this one came straight from The Cake Blog, so hop on over there to get the full details! 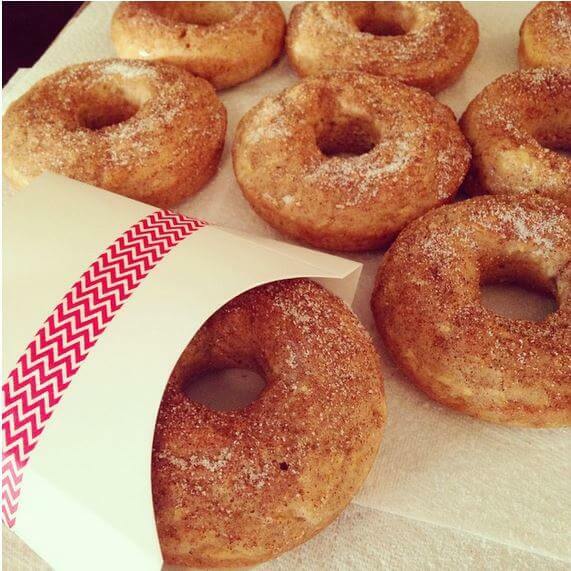 I promise you though, these tasty treats will soon become a must-have on your fall wishlist, too!